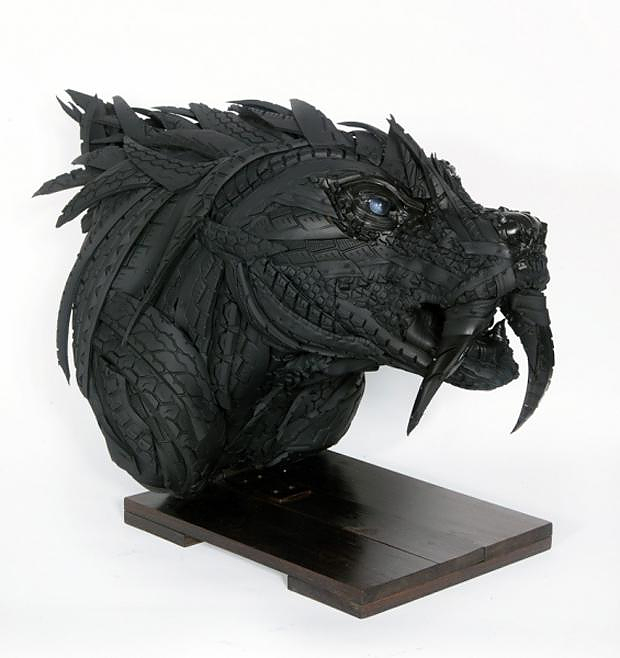 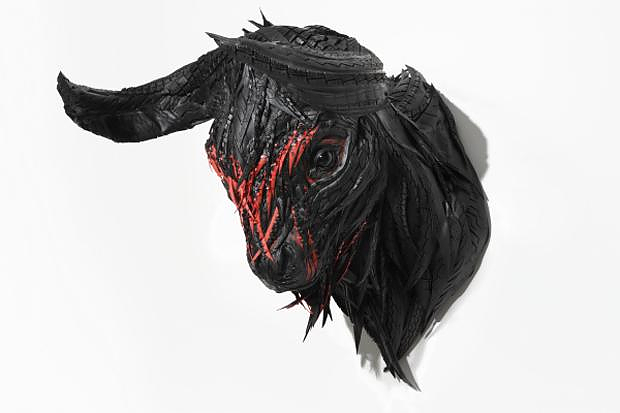 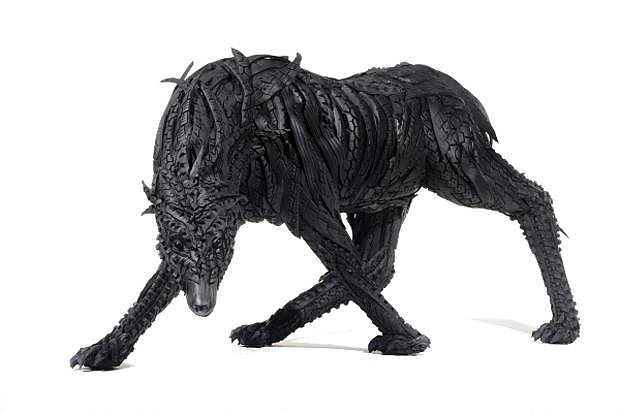 Amazing sculptures out of recycled tires by Yong Ho Ji. 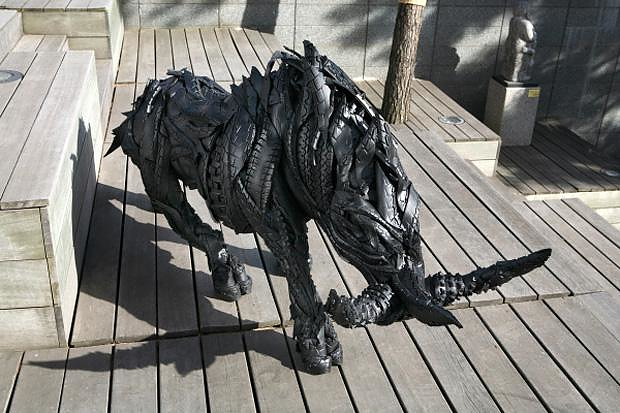 HomeBlogArtSculptures made of recycled tires by Yong Ho Ji. 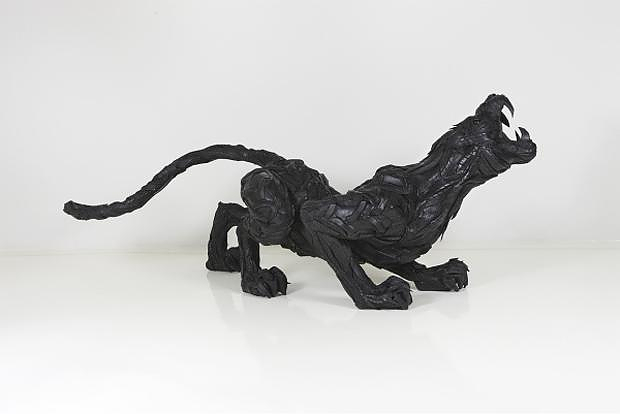 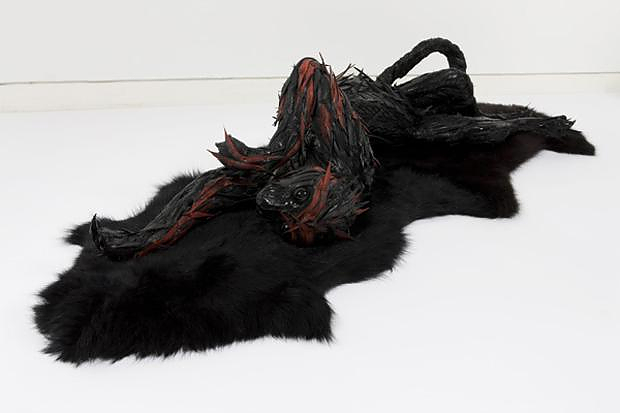 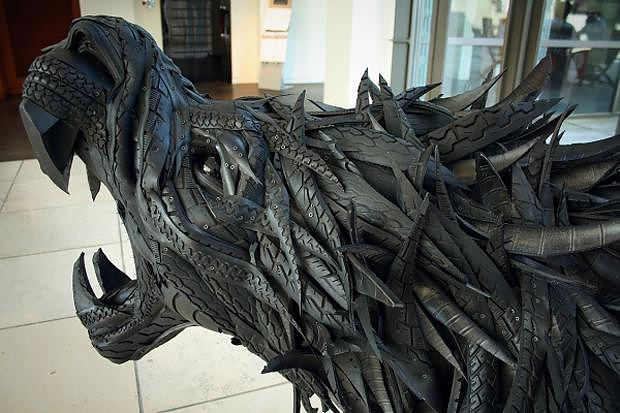 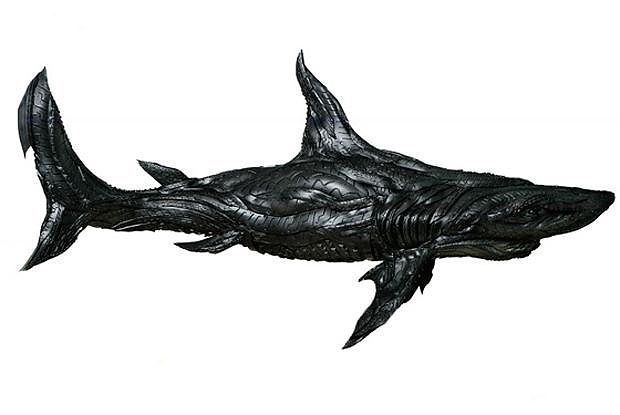 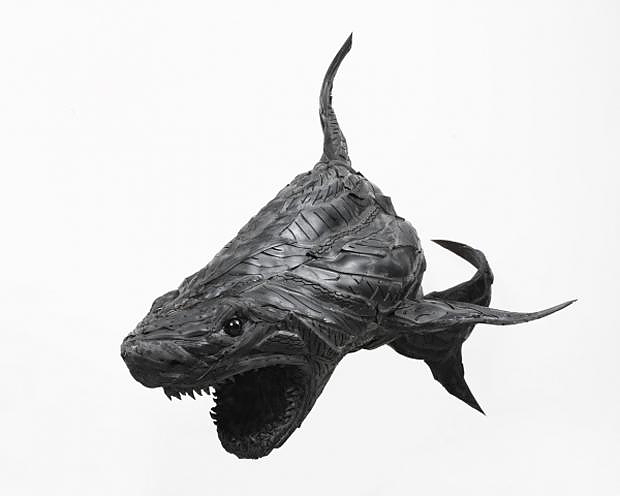 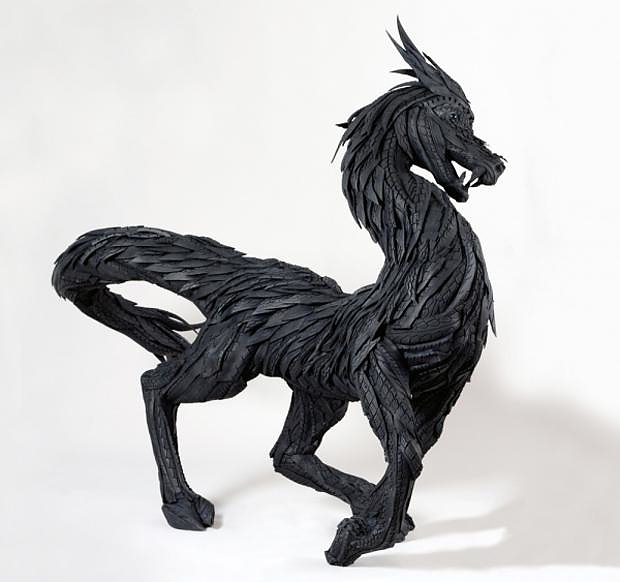 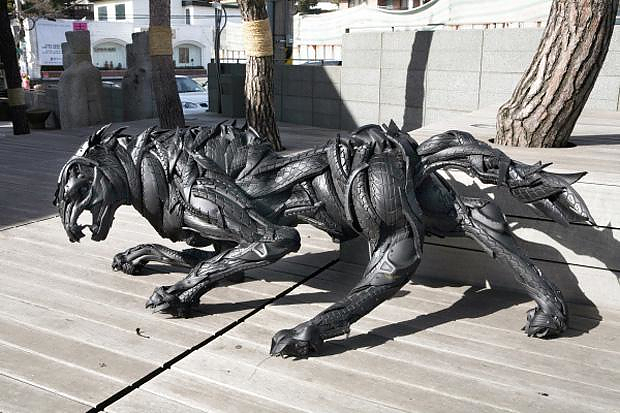 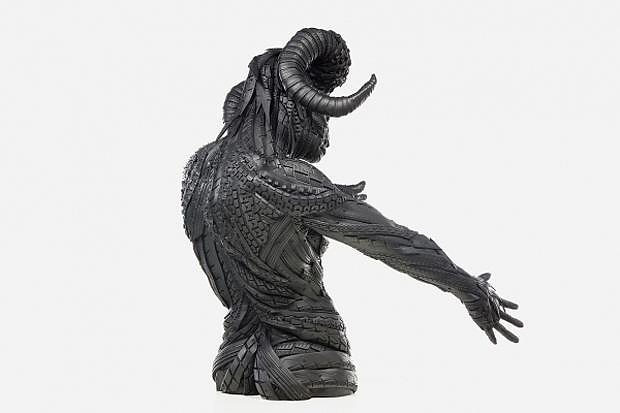 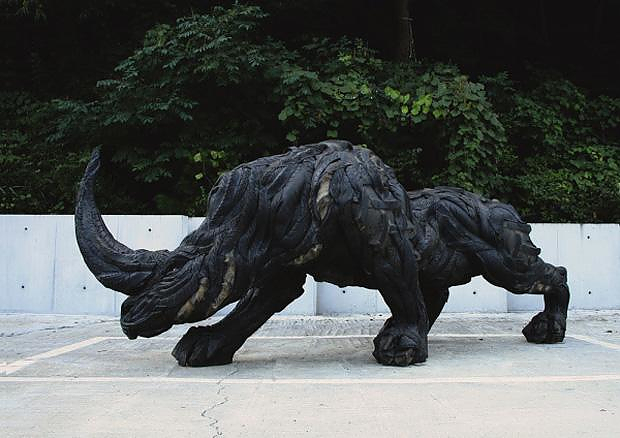 Korean artist and sculptor Yong Ho Ji creates amazing sculptures, using recycled tires. 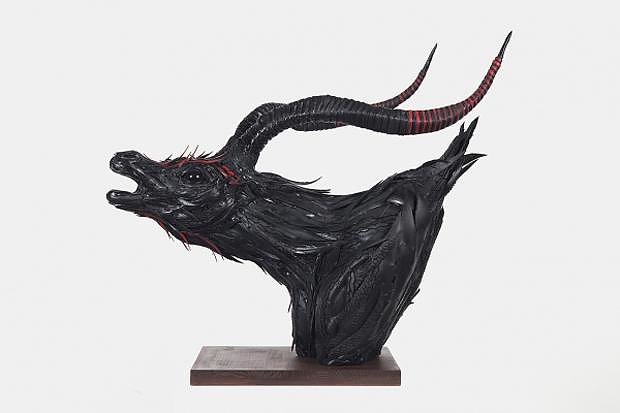 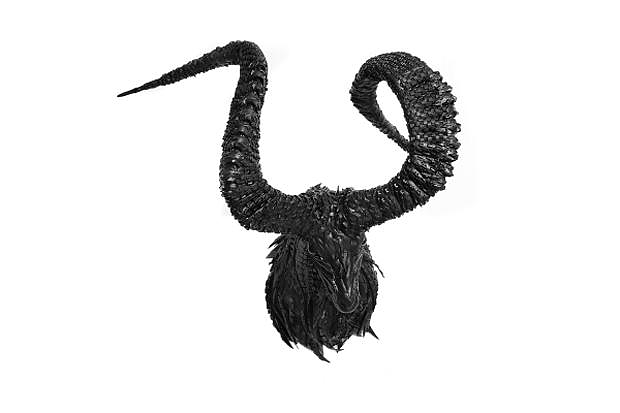 His creations represent real animals, as well as animal-human and animal-animal hybrids, which remind us of mythological creatures. 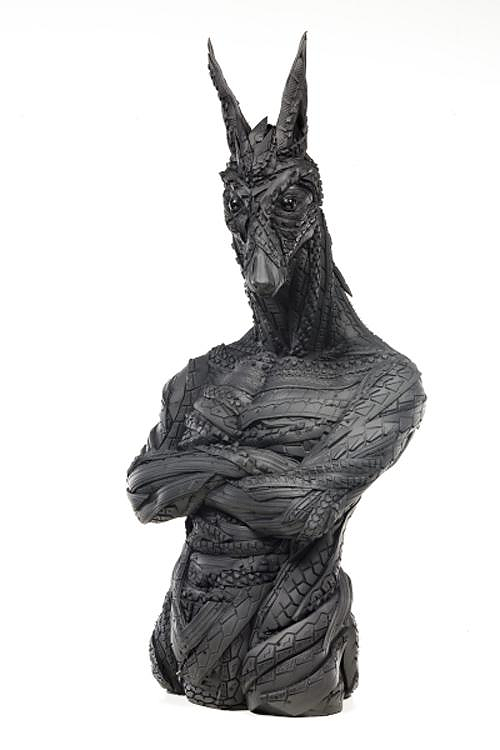 His technique is very distinctive impressive to look at. 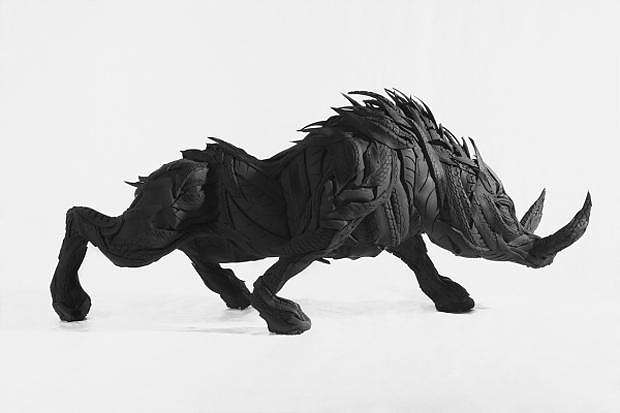 He meticulously joins layers upon layers of cut rubber strips, in order to shape flesh, muscles and other awesome anatomical details that really bring his fantastic creatures to life. 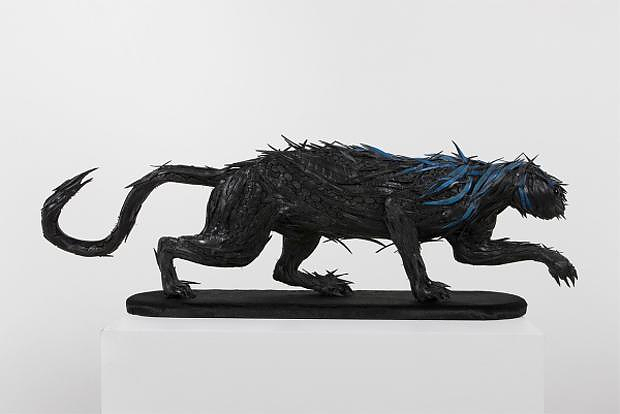 Yong Ho Ji’s creations are very unique, beautiful and yet somehow disturbing, due to their dark, aggressive styling. 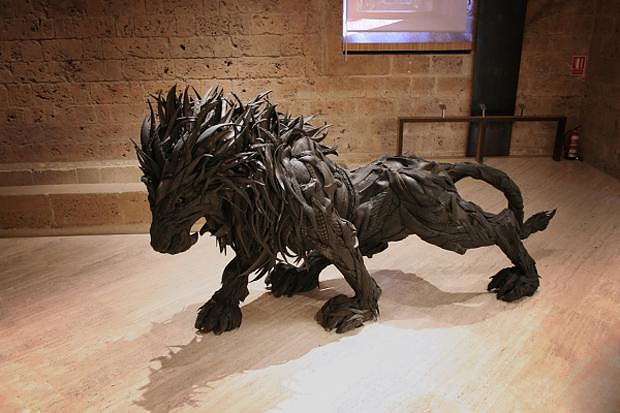 As the artist stated “I wanted to express that tires, which are intended for modern society, came from nature and can then be reborn as a yet another new form of life”. 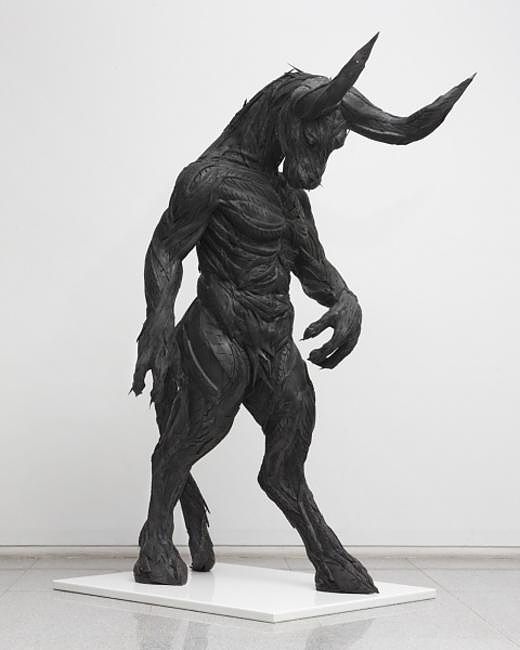 His work could also be seen as form of protest against the human defiance of nature’s balance, as these “reborn” creatures look rather menacing. 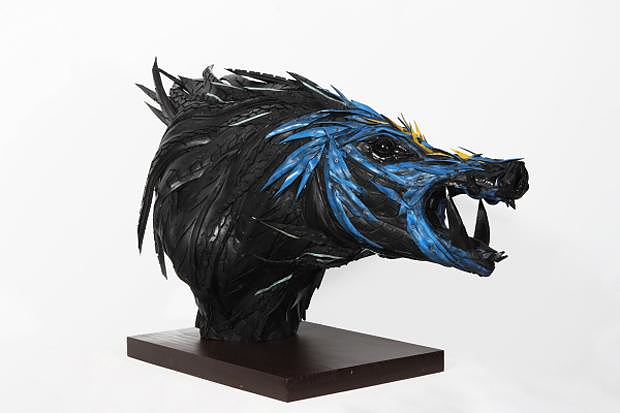 Creating artwork using recycled materials communicates a strong message with regard to ecological sustainability, as the artist is utilizing an otherwise wasted material, giving it a new meaning and life. 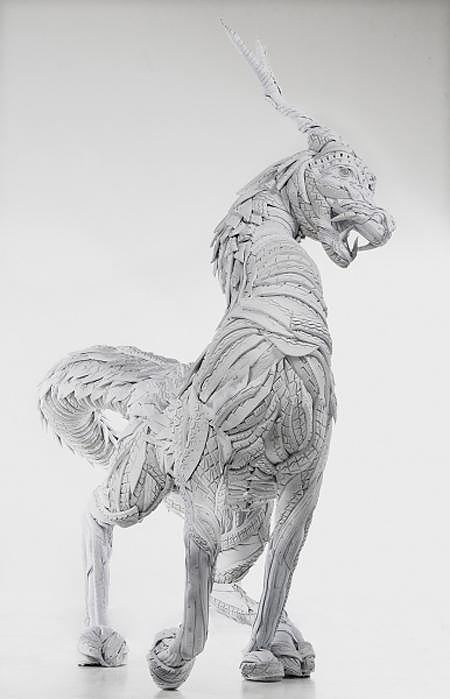 In our opinion Yong Ho Ji is pushing the boundaries of this material to the limit and by using this unique technique of forming muscles with rubber slices, he gives it a whole new artistic quality. 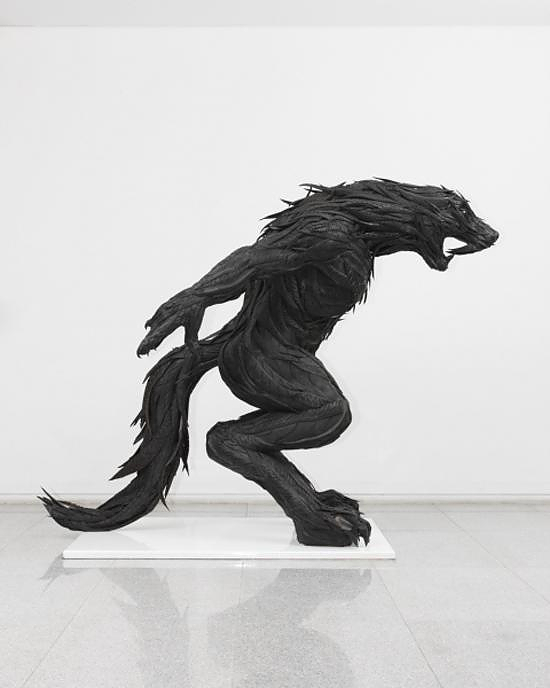 Yong Ho Ji was born on 1978, he successfully completed a BFA in sculpting at the Hongik University in Seoul, followed by an MFA in fine arts from New York University. 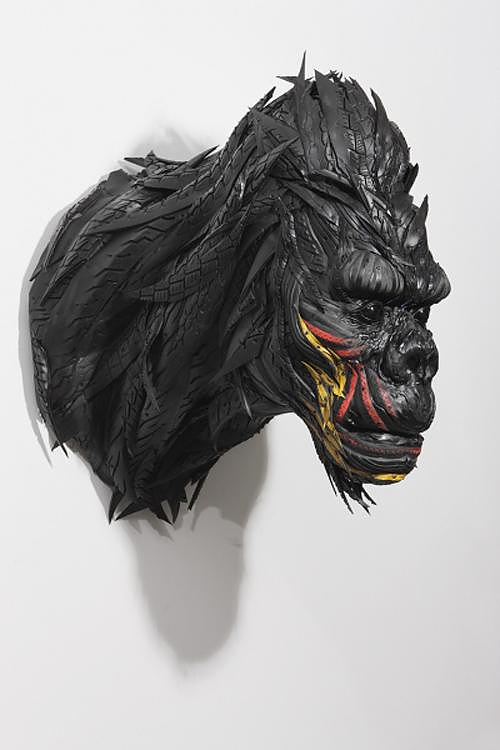 His work became famous mostly after it was exhibited at New York’s Gana Art Gallery in 2008 and has since enjoyed wide recognition and popularity worldwide. 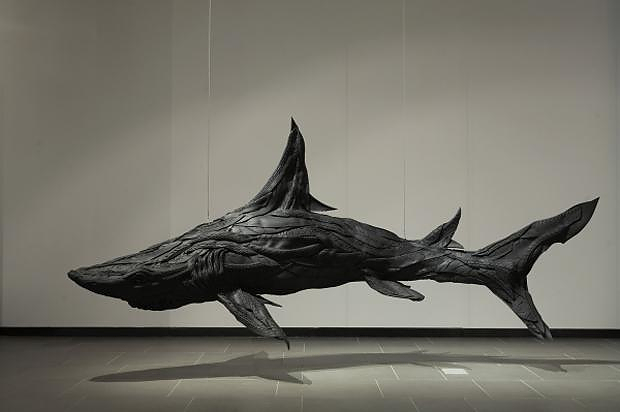 Enjoy some of Yong Ho Ji’s most impressive sculptures below!